Abhi Shah is a sharp guy and it would definitely make sense to keep track on his progress. Be it corporate business or politics, he seem to be making the right moves and more importantly he has the passion, zeal and age on his side. 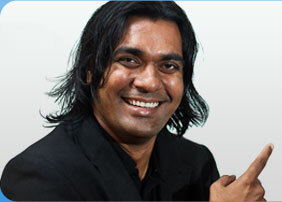 Abhi Shah is the CEO of JuriMatrix, an offshore legal solutions company. Prior to this, worked with Accenture, Compaq Computer Corp. and Thomas Nelson, Inc. He is the co-founder and vice president of the U.S. India Business Alliance (USIBA) and also serves as the founder/chairman of the Youth Committee of U.S. India Political Action Committee (USINPAC). Abhi holds an Honors BBA degree in marketing from Texas A&M University and an MBA from the Harvard Business School.